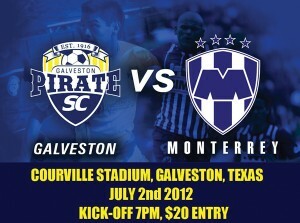 Champions League winners, Club de Futbol Monterrey Rayados are headed to Galveston for a challenge match with local professional soccer club, the Galveston Pirate Soccer Club, in what is sure to be the biggest sporting event ever to have landed on the island. The Rayados only recently won the Champions League for the second consecutive year, making them the best soccer team in the whole of North and Central America and to be able to bring such an illustrious soccer side to the area is a major coup. The CONCACAF title also allows them entry to play in the FIFA Club World Cup along with Champions of Europe, Asia, Australia and South America. “Typically, only the Houston Dynamo in the MLS would be able to attract a team of Monterrey’s quality but thanks to the growth of our club through the NPSL and our TV partner Azteca 51, we have been able to coax the Mexican giants to come to Galveston to participate in this challenge match.” continued the Irishman. Ticket prices are set at $20 and available for sale online at Galvestonsocial.com or by contacting the club directly at 832-748-1001. 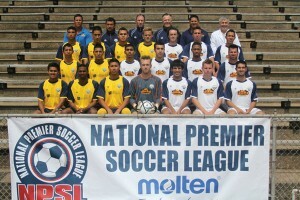 Stay Tuned folks, Club de Futbol Monterrey is coming to town!